In this Gospel Message Timothy Brassell of New Life Fellowship of Baltimore, Proclaims the GOOD NEWS of The God Revealed in Jesus Christ through his Part 2 series entitled, “Why Jesus’s Church Fellowships MORE And MORE!” pt.2. He explores the Church in the Light of Jesus by reading through Hebrews 10: 19-39, including comments and discussion with the congregation! The main positive of the Church in this world AND some of the challenges the Church faces as it stands for and against this world! Who and what your main enemy is and why you absolutely CAN BE COURAGEOUS AND NOT AFRAID! The fact that as you take part in and with Jesus there is definitely Some One to say YES to, and some one to say NO to! Listen in as the rest of that last sentence is given and clarity is shed about the Church’s Life, including one major myth we have about Church! Behold and Be-Held! Jesus Makes Everything New! In This Easter Resurrection Message Pastor Timothy Brassell of New Life Fellowship of Baltimore, Proclaims the GOOD NEWS of The God Revealed in Jesus Christ through his message entitled, “Behold and Be-Held! 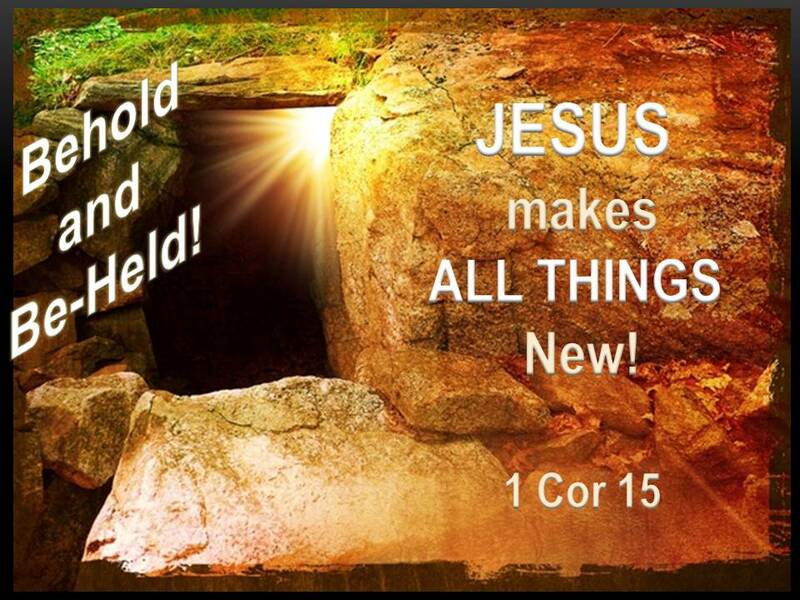 Jesus Makes Everything New!” . In this message he shows through 1 Cor 15 that at the root of and core of our being is the risen Lord Jesus and He seizes and summons us to participate with him as He leads and guides in our day and in our humanity! Our celebrations during the Easter Season are not the Resurrection, but neither is our sadness and anxiety! JESUS is the Resurrection and our current celebrations and sadness point to Him! You don’t have to feel pressured to prove Jesus rose but, as THE RESURRECTION and THE LIFE, Jesus creatively makes Himself known! Your role is to trust and obey Him as you witness to Him in the power of the Spirit at His direction! The Resurrection is NOT primarily about life after death or our personal, me-centered salvation! Rather, it is about something ENTIRELY NEW and far more extensive = Life AFTER “life after death” and the entire cosmos! You must face the realization of being met by Him and challenged to be who you are in him in His grace! Jesus not only has the right to be your Savior and the Center of your world but has the right to take you into the Center of His world! You can experience freedom as His Father’s child ONLY under His Lordship and Mastery! You get to take the Holy Spirit more seriously than your own frail humanity, though we all still live in the “already but not yet”. You do not have to be afraid of the dark in any form or shape because when Jesus rose, YOU rose with Him THEN as an overcomer! There is a challenge, promise, warning and question Easter brings to you, and the most important question in life is not your question but Jesus’ question to you, which is……. ….you’ll have to listen in to hear the answer and MUCH more of God’s Good News! In this season of Lent, Pastor Timothy Brassell of New Life Fellowship of Baltimore, Proclaims the GOOD NEWS of The God Revealed in Jesus Christ through his message entitled “Why Jesus’s Church Fellowships MORE And MORE!” pt.1. 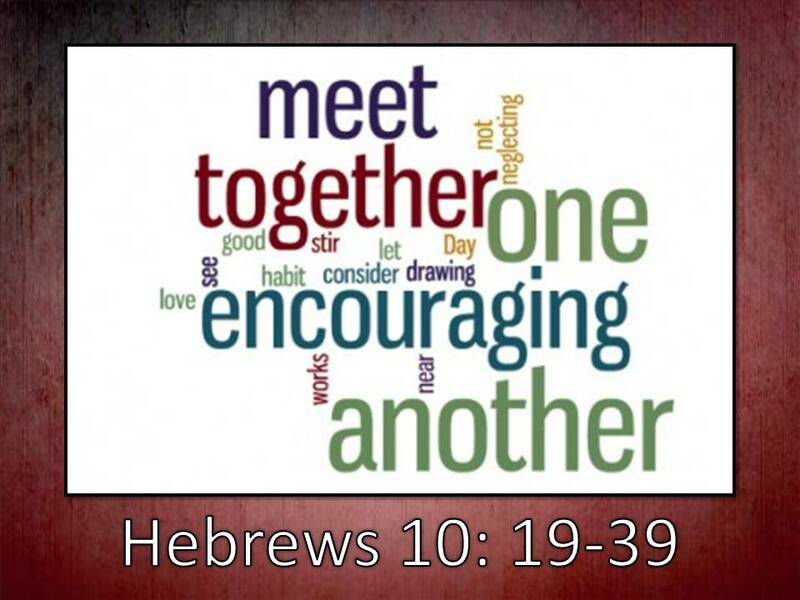 He explores Hebrews 10: 19-39 , posing the question to the congregation: “How can this Lenten Season perspective be VERY helpful to us as we hear about the subject of Fellowship?” He shows that God has shared HIS fellowship with US, through Jesus Christ and in the Holy Spirit. So God is a Union and Communion of persons TOGETHER, and that must be who and what His Church is like! YOU are who YOU are in JESUS CHRIST and NOT what others say about you OR what you have! What the fundamental cause of our transgressions against each other is! Why Prayer and Scripture reading is vitally important! Why we MUST begin with JESUS CHRIST and not any other or anything else! What are the reasons you been told as to why you need to attend Church? Why is meeting together important and encouraged MORE AND MORE?